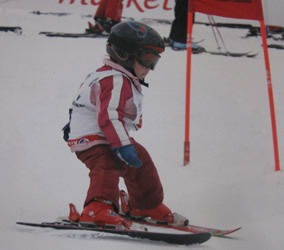 Haig Ski - La Reblais is great for children. The extensive garden has endless sledging and snowman making possibilities. La Reblais is great for children. The extensive garden has endless sledging and snowman making possibilities! With a family ourselves, we understand the needs of your children when abroad and can provide everything your children need. The sample menu is an example but we appreciate that many children have particular eating requirements and we are happy to be flexible! Whether your child is new to the snow or keen to progress, the following ski schools all have English speaking instructors. 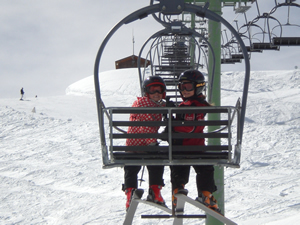 If your children do not wish to ski all day, there are numerous activities in Morzine (see Activities) and the Tourist Office have a programme of entertainment. Booking is essential in high season. 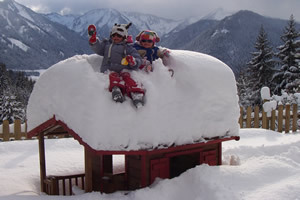 The outa creche in Morzine takes children from 3 months to 6 years on a half or full day basis. For full details, please visit www.outa-morzine.com. If you require a nanny, whether it is for a day or all week, the companies below will come to the chalet to look after your children. Please do book early as they all get very busy.